Amplified palette designed and constructed by Hal Rammel. 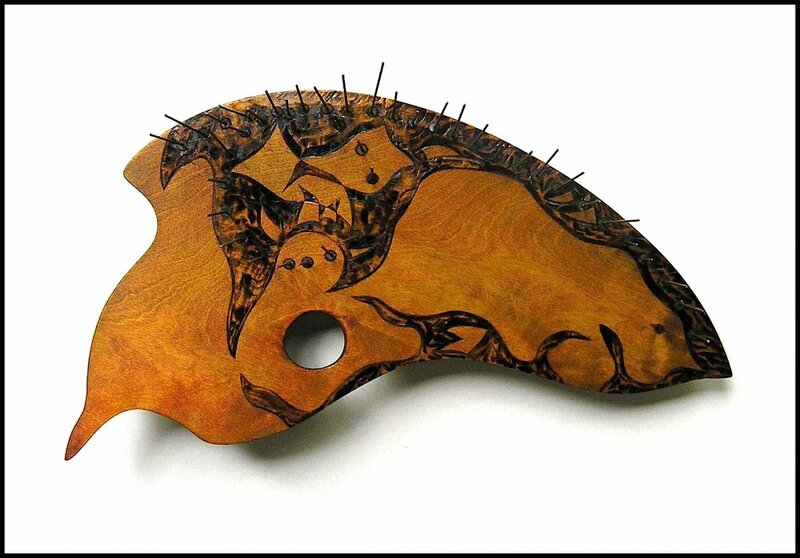 Amplified palette modeled after the shape of a palette built by Georges Braque in the early 1930s. Violin constructed from wood and paper, 6” x 4” x 18.” Donated to the permanent collection of the National Music Museum (Vermillion, SD) in 2014. Percussion instrument from wood & metal, 14” x 10” x 17.” Donated to the permanent collection of the National Music Museum (Vermillion, SD) in 2014. 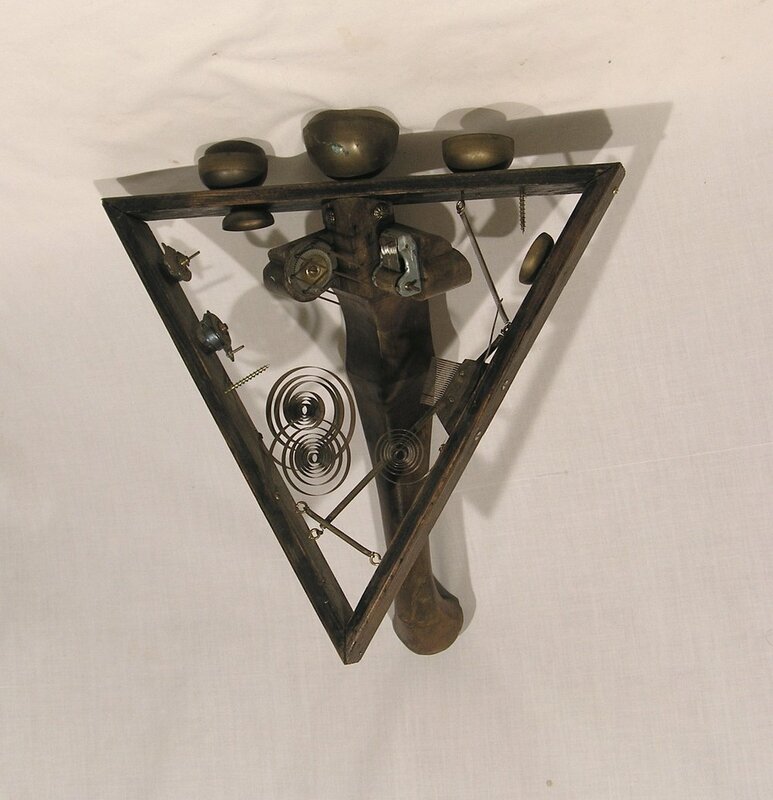 Percussion instrument from wood & metal, 13” x 3” x 30.” Donated to the permanent collection of the National Music Museum (Vermillion, SD) in 2014.